Femcee Phlow is embarking on a 4 week campaign titled #PhlowFridays and the lead song Pent House, an emotionally broody and somewhat off kilter track that exposes the Nigerian native's vulnerability. 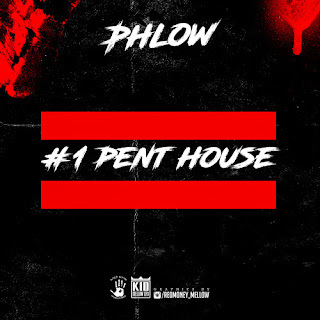 On the Teck-Zilla produced track, Phlow collects all of her "pent" up emotions, and "houses" them in her head to process. Although this coping mechanism for the most part works to Phlow's favor, she addresses her feelings of isolation, of a world that continues to spin, leaving her to feel left behind. As part of the human condition, this is something that most of us experience and revisit frequently. It's through Phlow's ability to communicate these emotions that we become pulled into her world.